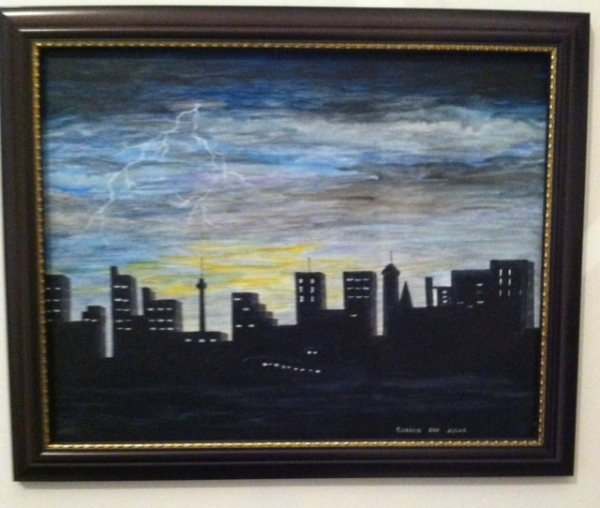 A Cityscape with a storm approaching and lightning bolts. This was included in a week long class of storms, lighting and wind. Great Week.